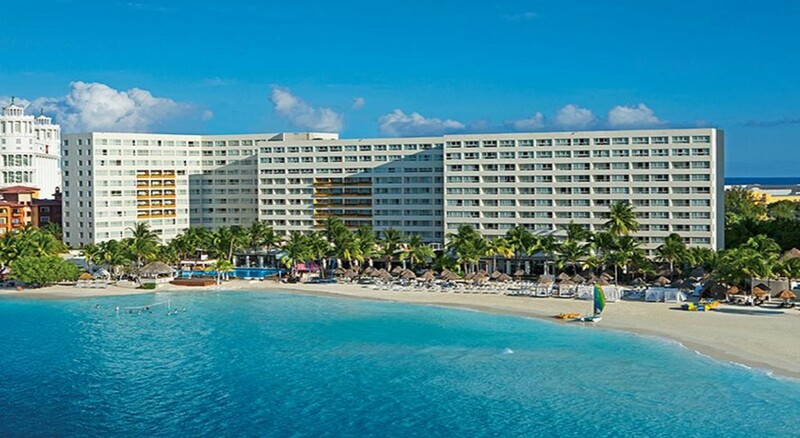 Dreams Sands Cancun Resort & Spa is located on a sparkling beachfront in the heart of Cancun's Hotel Zone. This dreamy resort is the perfect choice for families, couples and solo travellers alike, situated just 15km from Downtown Cancun there is a plethora of boutique shops, restaurants and bars nearby. 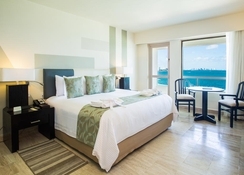 The hotel's 436 elegant rooms and suites offer unbeatable views of the Caribbean Sea, are tastefully decorated and come equipped with first class amenities to ensure a comfortable stay is had by its guests. There's an abundance of exciting things to see and do both inside and outside of Dreams Sands Cancun Resort & Spa, with facilities including two swimming pools, Caribbean dance lessons, cooking and cocktail classes and an Explorer's Kids Club in-resort, plus a medley of watersports, beach activities, golf courses and more available in the surrounding area. 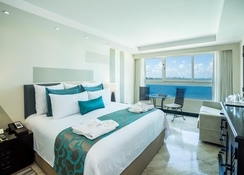 Located in the heart of Cancun’s Hotel Zone, Dreams Sands Cancun Resort & Spa is within walking distance of the shops, bars and restaurants that line the zone. 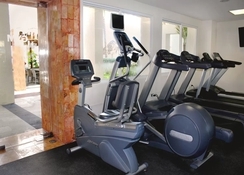 The Cancun International Airport is just 20 minutes from the property. 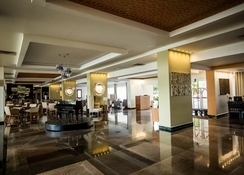 The hotel has a total of 436 rooms, all of which are tastefully decorated in light, airy shades. The furniture is contemporary and the rooms are divided into the following categories: Deluxe Rooms with Partial Ocean View and Deluxe Rooms with Balcony; Deluxe Ocean Front and Deluxe Ocean Front with Balcony; Preferred Club ocean view; Preferred Club Ocean Front, Preferred Club with Balcony; Corner Suite, Honeymoon Suite, Junior Suite and Family Suite with Partial Ocean and Pool View. Room amenities include king size bed or two double beds, ocean views and spacious bathroom with shower tub. Dreams Sands Cancun Resort & Spa gives you the chance to savour International cuisine and top-shelf spirits. The hotel has a great selection of six a-la-carte restaurants, a buffet restaurant, a grill bar, a café and an ice-cream parlour. 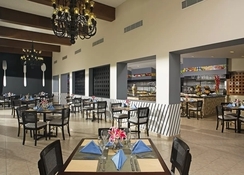 World Café is the hotel’s main buffet restaurant serving international dishes. Portofino is a specialty Italian restaurant serving dinner. El Patio serves authentic Mexican cuisine. Bordeaux is a French fine-dining restaurant. Himitsu serves Asian cuisine. Olio is an international restaurant specializing in seafood and Mediterranean cuisine. Sushi & Ceviche is a specialty sushi lounge open for lunch. Waves & Sands is an international restaurant. Barefoot Grill serves grilled snacks and meals, while Coco Café serves specialty coffee, ice cream and crepes. There are plenty of things to do both inside and outside the hotel. There are two swimming pools, three Jacuzzis and a private 650-foot beach. A fully equipped fitness centre caters to the needs of fitness buffs, and Dreams Spa by Pevonia offers a range of treatments and therapies at an extra charge and includes beauty salon, Jacuzzis, steam bath, sauna. There are facilities for aerobics, yoga, ocean volleyball, jogging, darts, billiards, sailing, kayaks and ocean trampoline. The hotel also provides introductory scuba diving lessons in the pool. There is Explorer’s Club for kids and the Core Zone for teens. Guests can also enjoy a round of golf at the near golf course. Evening entertainment includes theme nights and parties, live musical performances, stage shows and big screen movies on the beach.